Everyone’s favorite one-man band Shakey Graves is coming back to town on his Die Hard Tour after taking the trophy for best emerging artist from the Americana Association and playing a surprise set at AmericanaFest, and we’re giving away a pair of tickets for his stop Nov. 19 at Cannery Ballroom. The seven-piece indie-pop band of fellow Austin-ites Wild Child are set to open. Graves’ mix of rock, alt-country, and Americana have gained him rave reviews for his latest record And the War Came as well as a particularly dedicated Nashville audience. In addition to the AmericanaFest thing, in the past year he did Live on the Green, killed it at Bonnaroo, and sold out Mercy Lounge. Now he’s moving up to see if he can fill an even bigger venue, and we’re willing to bet it’ll happen. Tickets are available here for $20 in advance, $25 on the day of, but you can read on to learn more about the lineup and try your hand at winning a pair from us! Wild Child have just released their third record, Fools, and the Austin-based indie-pop band is balancing the subject matter of a breakup album with their joyful pop style, infused with vocal harmonies between lead singers and songwriters Kelsey Wilson and Alexander Beggins over lots of ukelele. Also in the mix with the seven-piece: cello, violin, and trumpet with the traditional instrumentation of a rock band. While writing Fools, Wilson split from her fiancé of five years and watched her parents divorce. This material is tackled with a heavy dose of irony, given the band’s signature happy sound. Winner will be announced Tuesday, Nov. 10 at 3 p.m. CDT, and will receive one pair of tickets. Good luck! Win Tix to Shakey Graves at Cannery Ballroom! 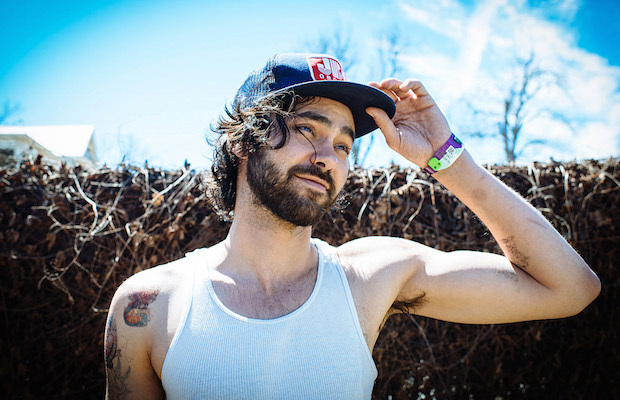 Shakey Graves and Wild Child will perform Thursday, Nov. 19 at Cannery Ballroom. The show is 18+, begins at at 8 p.m. (doors at 7 p.m.), and tickets are available to purchase for $20 in advance, $25 day of show.